The MPs and other citizens pushing for the impeachment of Edgar Lungu should be supported. Edgar Lungu is a thief and a joke. Lungu has brought nothing but theft, corruption, hatred, tribalism, nepotism, international disdain, embarrassment, bupuba and all manner of evil in this once admirable country. He does not deserve another day to be in charge of our affairs. Zambia is at its lowest economically, in terms of governance, socially and in international standing. Corruption is at all times high. And Lungu is on record praising and encouraging corrupt tendencies. This has to stop. It is shocking that the only reason the PF say the impeachment will not succeed is because there are more PF MPs than members of the opposition. Reasons for the impeachment do not matter. But that is basically the problem. We have a large number of people in parliament who can’t see anything wrong with corruption, nepotism and other ills Lungu has wrought on this country as long as they are receiving salaries. To majority of PF MPs, what matters is that they remain in power and continue getting money at any cost to the country. The damage Lungu is doing to this country does not matter to them. What they forget is that the seeds of corruption and tribalism Lungu is planting and watering, nurturing in this country will haunt their children and all generations to come. Once corruption takes root in a society the way it has been embedded in Zambia by Lungu, it takes a revolution to uproot it. To the MPs battling this monster, we say take heart and be of courage. We know that the evil forces you are fighting are strong. On the side of the thief is money, power and guns while all you have are good reasons and intentions. But remember, this is how it has always been everywhere in the world and throughout history. A few good people stand up to monsters and in the first rounds monsters win. But we all know that eventually, good triumphs over evil. We have a very near example in both time and geography; the case of Jacob Zuma. How many times did the MPs in that country try to impeach Zuma while his party which had more MPs in parliament support him? Where is Zuma today? He is facing the police. The Same police who were guarding him when he was stealing. This, we have no doubt is the fate of Edgar Lungu. Those who read the Watchdog know that we have been consistently saying that Lungu’s future is in prison. Lungu will be jailed. On this one we have never been more sure. Lungu will be convicted and jailed one day. It is just a matter of time. The weight of evidence against Lungu for corruption, theft and murder is simply overwhelming. Whether the current impeachment process fails due to the mere and sole reason that the PF MPs who support Lungu’s corruption are more in number, those pushing it should not be discouraged. Another one should follow. Removing evil people from power has never been easy. It takes time, commitment and courage and there are frustrations on the way. But eventually, history tells us, dictators and thieves lose. 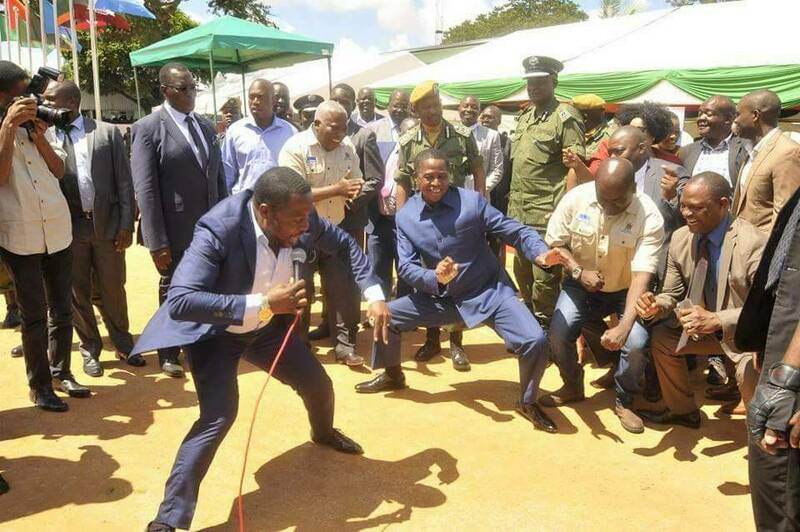 Lungu will eventually lose as did his friend Jacob Zuma and others. What matters is that the fight to save the country from the thief is sustained. It is important that Lungu’s misdeeds are logged in parliament and the whole world should know what is happening in Zambia. In fact, the whole world already knows that Zambia is currently in the hands of bad people, thieves, kleptomaniacs.